King Naresuan Stupa was a unique architecture built by the locals to contribute to King Naresuan, the Great of Ayutthaya Kingdom. Why King Naresuan Stupa is special ? The pagoda is located in the city of Chiang Dao, Mueng Ngai. Somdet Phra Naresuan Maharat was one of the Siam’s most revered monarchs known for his ability to fight against enemies and his campaigns to free Siam from Burmese rules. 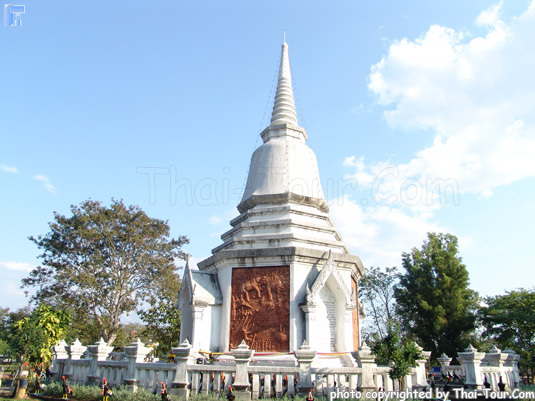 He marched an army to defeat the enemies in Thailand therefore; the locals from where he had his stopover built the monument or pagoda to honor the victory of King Naresuan. The pagoda at Mueng Ngai was built by the locals during the time when King Naresuan had stopover at Mueng Ngai before he and his army marched to Ungwa, Burma in B.E.2147. What to explore at King Naresuan Stupa? The width of the pagoda is 10.30metres and the height is 25.12metres. 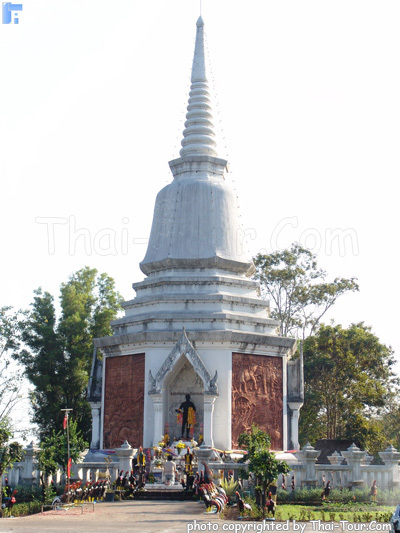 It is an octagonal based statue of King Naresuan. 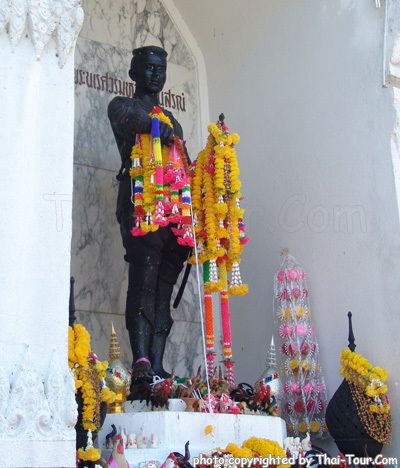 One of the sides appears the statue of King Naresuan standing on a pedestal, which made of black metal, wearing military uniform with a sword in his left hand while his right hand is holding a gold ewer shedding water on the ground as a symbolical of donation. He did not wear the Mala. The statue height is approximately 2metres. Engraved tablets on each side of the base depict the King’s royal duties. Interspersed with the marble panels are depictions of his royal history, designed by Fine Art Department and was done in B.E.2513. Below the statue is a replica of King’s army camp which located pictures of King Naresuan, Somdet Phra Ekatotsarot, and Somdet Phra Suphankalaya. This replica was built by Fine Art Department on the occasion of the libation by H.M.K. Bhumibol Adulyadej and Quenn Sirikit on the 25th January B.E.2514. Bring a bag of snacks while flying, unless airline peanuts are considered gourmet foods. My son and I had a really nice time at King Naresuan Stupa. We enjoyed the unique architecture that is considered as the work of local people to contribute to their King Naresuan. 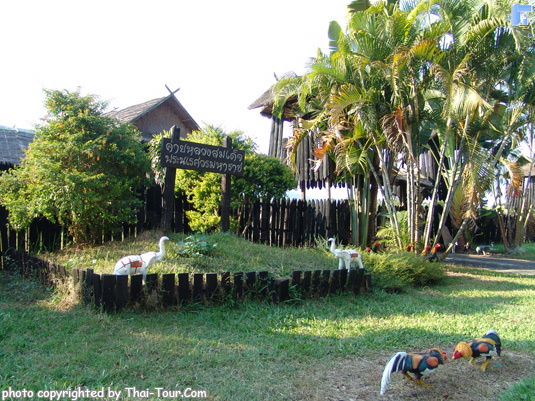 We not only admire the beautiful landmark, but also open our mind about Chiangmai historical stories. The more we know about Thailand, the more we love them. Should travel to Chiangmai again, our favourite city. Highly recommend this spot!